There are 2 holidays to Zillertal Ski Area for 2 adults, 0 child and 0 infant. You’ll be able to make the most of your trip this year with a stay in one of our fabulous catered chalets, although in the Zillertal Superski Area they are unfortunately few and far between. The Chalet Haus Tirol is located right in the centre of Mayrhofen; the resorts renowned après ski scene is right on your doorstep and the gondolas not much further away. 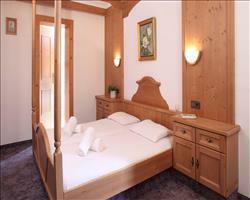 Also in Mayrhofen, the Chalet St Lukas is in a slightly quieter location. A few minutes away from the lively nightlife, you’ll be able to spend your evenings lounging in the great communal areas, though the quick trip into town is by no means a mission! The ski bus stops close by if you want to visit some of the other ski areas in the region, though you’ll want to make sure you’re back in time for tea and cakes in the afternoon! Wake up every morning to the smells and sounds of breakfast cooking downstairs, and each afternoon you’ll be welcomed back by some freshly baked treats. The evening meal is a truly communal affair, with the whole chalet coming together for a three of four course feast prepared by the chalet chef. With such hearty meals provided for you, many guests choose to skip lunch on the mountain, allowing them to squeeze in a precious few extra runs each day. Larger groups can book sole occupancy in some chalets, so you’ll already know who you’ll be spending the week with, though making new friends is all part of the fun. Book a package that includes flights and airport transfers alongside your chalet and you won’t have to worry about anything all week- as soon as you’ve got to the airport, everything else will be taken care of. However, if you’re travelling with the kids and don’t want to be hanging around airports for hours, make the journey into an adventure with a self-drive holiday. You can pack as much as you like to keep them entertained on route, and you’ll be able to cart as much luggage across the continent as you can squeeze into the roof box.